Most people would have at least heard of Norton AntiVirus because they have been around for a very long time. The first version of Norton AntiVirus was released on 1991 during the Windows 3.X time and has been in active development till today. There were a few different versions of Norton products offered by Symantec which is the AntiVirus, Internet Security and 360 but they have all been replaced by Norton Security since September 2014. You will find 3 different versions of Norton Security available at the official website. Norton Security for One Device, also known as the standard edition can only be installed on one device while Norton Security deluxe edition can be installed up to 5 devices. Both of this product replaces the old Norton AntiVirus and Internet Security. A premium edition also known as Norton Security with Backup is a replacement for Norton 360 that comes with slightly more features such as 25GB online cloud storage and allows installation up to 10 devices. Most antivirus companies markets 3 different versions of their products in a way that an antivirus only contains the antivirus module, while an Internet Security comes with an additional Firewall, and finally a Total Security package that includes every features and benefits that they can offer. It makes you think that one should subscribe to the most expensive Total Security package for maximum protection or else there will be some other ways that your computer can be compromised. As for the new Norton Security, you can find antivirus, firewall, identity theft protection, and computer performance tuning modules in every version to ensure that the computer is properly protected. The only difference now is the additional backup feature and the ability to install on multiple devices. Symantec even have a 100% money back guarantee if your device has a virus that Norton cannot remove. Although virus removal is an important part in an antivirus software, the most important thing is actually detecting and preventing both known and unknown malicious software from being infected on the computer in the first place. When a virus has already infected the computer, it may have already secretly transferred/stolen a lot of your important and private files from the computer to the hacker via a keylogger. In terms of speed and performance of the new Norton Security, rest assured that Norton has kept its software as light as possible. 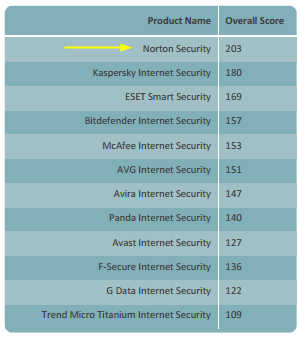 According to PassMark’s 2015 Consumer Security Products Performance Benchmarks (Edition 3) released on 27 May 2015, it shows that Norton Security has the best performance when compared with other antivirus, internet security and total security software. The days of Norton products causing the computer to crawl is long gone. If you’d like to try out the new Norton Security, the official Symantec’s website offers a free 30-day trial. All you need to do is click on the “Free Trial” button for either Norton Security or Norton Security with Backup to download an installer file that is about 124MB in size. Run the downloaded installer file and you’ll need to create a free Norton account in order to activate the one time 30 day trial. If you wish that the evaluation period of Norton Security is longer than 30 days, fortunately there are official OEM builds that allows up to 90 days (3 months) of free trial. Instead of downloading the trialware installer from the public Norton webpage, all you need to do is download the special OEM setup installer from the links below. Do note that they are official Norton builds and are hosted at norton.com. A product key is not needed to activate the 90 days trial. Do take note that the second download link to Norton Security with Backup cannot be installed in Windows 10 as the operating system will popup a notice saying that “This app can’t run on this PC”. If you wish to install Norton Security in Windows 10, please download the first link which is the 90 days trial for Norton Security. Something we would recommend is to run the LiveUpdate as soon as the installation has completed. This is because the Norton Security trial setup installer is an offline redistributable file which has an outdated version of virus definitions and program files. 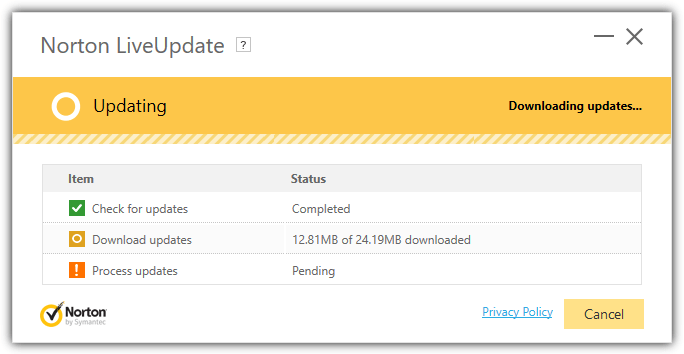 The first LiveUpdate after installation will require to download a total of 24MB containing 17 updates and needs to restart after applying the patches. After restart, you may need to run LiveUpdate a few more times for Norton Security to be fully up to date. Important Note: If you’ve previously installed a trial version of Norton products, you won’t be able to activate this free 90 days trial. This is because whenever you activate the trial, Norton will leave a hidden trace on your computer to prevent from reactivating another trial period. This is very nice and excellent blog. I have learned many things. One of the most comprehensive and well spelt read on Norton Security. I t worked for me Thanks!!!!! I like this product and fast. it’s really great. thanks. 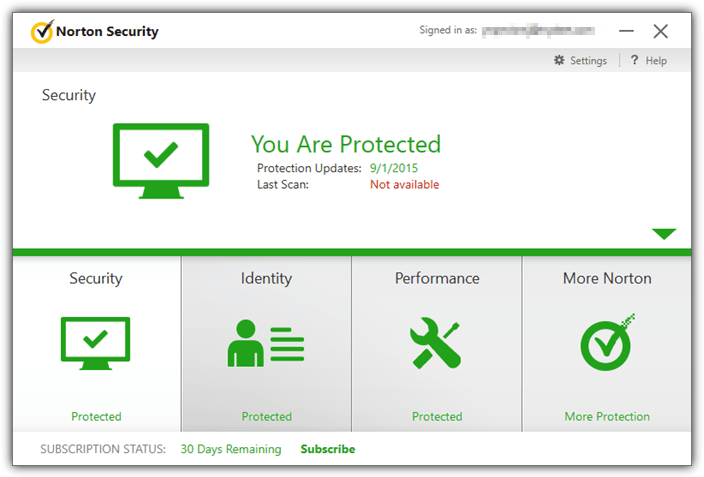 thanks for the assurance Ray..dl it 360 and Is…worked just fine on my xp x64..
i like this antivirus !!!!! Thank you very much for sharing your knoweledge with us! thank u man, u have done a great job. Thanks Raymond for this wonderful free software. More power…. Thanks Raymond , great post . you are best…..
You’re the best man! Awesome. Thanks a ton!